History of Wistow - Wistow - a beautiful and historic English hamlet. Wistow, shortened from Wistanstowe (holy place of Wistan) reminds us of the Christian Prince of Mercia, Saint Wistan, who was murdered by his cousin Brifardus in 849. Brifardus coveted the throne, and it rumoured to this day that every year "human hairs grow through the grass in Wistow Churchyard on 1st June", the anniversary of Saint Wistan's murder. In the Middle Ages, Wistow was in the possession of the D'Alfords and the Hastings family for about 350 years, followed by the Brownes. In 1603 it was bought by the Halfords, probably the same family as the earlier D'Alfords. Richard Halford was High Sheriff of Leicestershire in the reign of James I. He was created a baronet by King Charles I in 1641, having been imprisoned in the Tower by the Parliamentarians in 1640 and paid an enormous fine to achieve his release. His splendid memorial is in the transept. He and his son, Andrew, were the most prominent Royalists in the area during the Civil War, as Hazelrigg of Noseley was the most prominent Parliamentarian. King Charles I slept at Wistow on 4th June 1645 before the fateful battle of Naseby, and the bedroom he used still bears his name. Ten days later, in their reluctant flight from the battlefield, the King and Prince Rupert hurriedly took fresh horses at Wistow and galloped on to Leicester which was still held for the King, leaving behind on their weary steeds the conspicuous but beautiful saddles with the crimson velvet and gold braid. The Halford baronetcy expired with the death of Sir Charles Halford in 1780. His memorial and that of his brother, Sir William, are also in the transept. There was then an interregnum of 34 years during the survival of Sir Charles' widow who had married Basil, Earl of Denbigh. 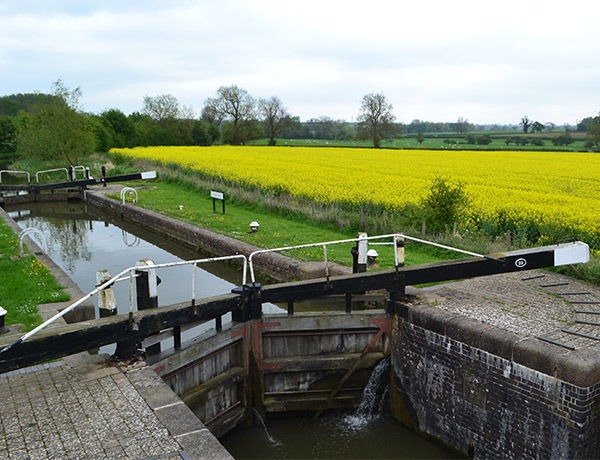 The Grand Union Canal was built through the estate during her time, and to this day it provides an endless source of joy for walkers and recreational boat travel passing through scenic meadows, mature woods and productive farmland. 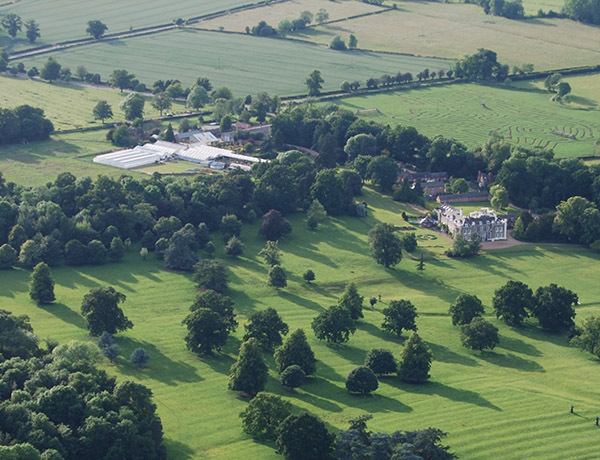 In 1814, Wistow was inherited by the King's Physician, Dr Henry Vaughan, who had, five years previously, on being created a baronet, changed his name by Act of Parliament to Halford in the confident expectation of his inheritance. He was a great grandson of Sir Richard Halford, 5th Baronet, through his maternal grandmother. This remarkable man, who as Sir Henry Halford, was President of the Royal College of Physicians continuously from 1820 to 1844, was physician to George III, George IV and William IV, and attended also all the Royal Dukes and Princesses at that time. Indeed, almost everyone of importance in London during the first quarter of the 19th century were his patients, including the Duke of Wellington, Warren Hastings, Sir Walter Scott, Fox, Pitt and Talleyrand. He was not only their physician; he was in most cases their friend and confidant. According to his diary, on 23rd June 1824, he was "called to the King and Queen of the Sandwich Islands who lie dangerously ill of the measles". King George's illness was thoroughly researched by Ida Macalpine and Richard Hunter in their fascinating book "George III and the Mad Business" and it was an entry in the diary of Sir Henry Halford that confirmed their opinion that the King was not mad but suffered from the hereditary disease of porphyria. The Royal Coat of Arms of George III is on the hatchment facing the doorway on entering the historic church opposite the front drive to Wistow Hall. On the right hand side of the nave are the arms of the Physician, which were granted to Sir Henry by George IV in 1826 as a gesture of gratitude after his unremitting attention to the Duke of York during his last illness. The Greyhound crest of the Halfords is very noticeable, as is the medical staff entwined with the serpent and the emu supporters. George IV had given Sir Henry two emus, which are reputed to have done much damage in the garden at Wistow and, when they died, one was stuffed and placed in a glass case there. Sir Henry made extensive improvements to the property of Wistow, and created the lake, at the same time diverting the road around it. He was also responsible for complete the Georgian restoration of the church, as can be seen by his initials on the rainwater heads outside. The Physician's son, also Sir Henry, and a classical scholar like his father, was for many years member of Parliament for the Harborough Division of Leicestershire and his grandson the third and last Sir Henry, was the first Chairman of Leicestershire County Council and a very prominent Volunteer and marksman. The last Sir Henry had no direct descendants, and on his death in 1897 Wistow was inherited by the 3rd Lord Cottesloe, who as T F Fremantle had joined with him and W E Metford in their experimental work on the rifle. Sir Henry had installed a rifle range at Wistow with firing points at 1000, 1500 and subsequently 2000 yards, and the iron target can just be seen when looking towards Wigston from the Fleckney cattle grid in the Nooks, the field which is commonly (and erroneously ) called Wistow Park. Their work was largely instrumental in the development of the shallow grooved rifling which is now universal, and the .303 bullet that superceded the old .450 calibre for the military rifle. Lord Cottesloe continued the experimental work at Wistow after Sir Henry's death, directing it mainly to the development of the pointed bullet and then to the boat-tailed bullet for long range machine-gun work. Himself a very distinguished marksman, he was the foremost authority on firearms of his generation, for many years Chairman of the Small Arms Committee and of the National Rifle Association, as was also his son, the 4th Lord Cottesloe. Sir Henry Halford and the 3rd and 4th Lords Cottesloe shot on numerous occasions as members of the English VIII, first at Wimbledon and then at Bisley at the NRA meetings, all with great distinction. At the age of 90, the 4th Lord Cottesloe gave up the Captaincy of the English VIII after 25 years, having been in the team as a shooting member or as Captain and Coach on more than fifty occasions. He had a distinguished career in many spheres of public life. At one time he was Chairman of the Arts Council, and the Cottesloe auditorium at the National Theatre is named after him. During the Great War, Lord and Lady Cottesloe made Wistow Hall available as a hospital for wounded soldiers from 1914 to 1919 and the patients numbered 16 Belgian, 4 Canadian and 440 British. The names of two of the bedrooms in the Hall, the Belgian Room and the Massage Room date from this time. There is a note in an old account book belonging to Gilberts, the carriers, of Great Glen, that the charge for transport from Glen Station to Wistow was 1d for a soldier, and 2d for an officer! There is also reference to taking bedding from the hospital to Blaby for stoving or fumigation. In the Second World War, Wistow was at first a home for babies bombed-out in the blitz, but the lack of adequate plumbing made this somewhat impractical! It then became the home of a number of expatriate Lutheran priests in the expectation that they would return to Germany when the war ended to further its Christian rehabilitation. One of these, Pastor Willie Baermann, remained at Wistow after the war and with his wife Lisbet ran the International Christian Centre for Friendship and Service until 1958. 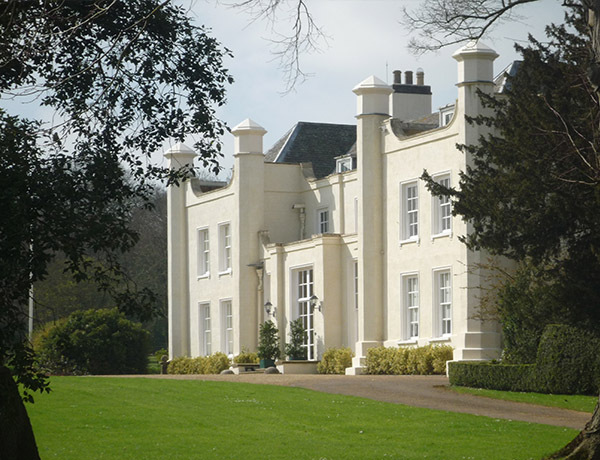 Thus, through the great kindness of successive owners of Wistow, many young people from Belgium, Holland, France and Germany were able to meet and form friendships in this peaceful and beautiful place. In 1958, the 4th Lord Cottesloe passed on the property to his daughter Ann, and she and her husband, Timothy Brooks, restored and modernised the house, after dealing for over a year with seven out of eight varieties of beetle and rot! They gave it some hope for the future by creating a number of flats, so that it is now not only the Brooks family home but also that of many others too. Timothy Brooks was High Sheriff for Leicestershire in 1980, replicating another part of the Wistow story, when Sir Richard Halford held the same post some 360 years earlier. A prominent magistrate and local Councillor, and a traditional farmer, he was appointed Lord Lieutenant of Leicestershire from 1989 to 2003, and was subsequently knighted by HM Queen Elizabeth II. His son Richard was appointed High Sheriff of Leicestershire in Diamond Jubilee Year 2012. 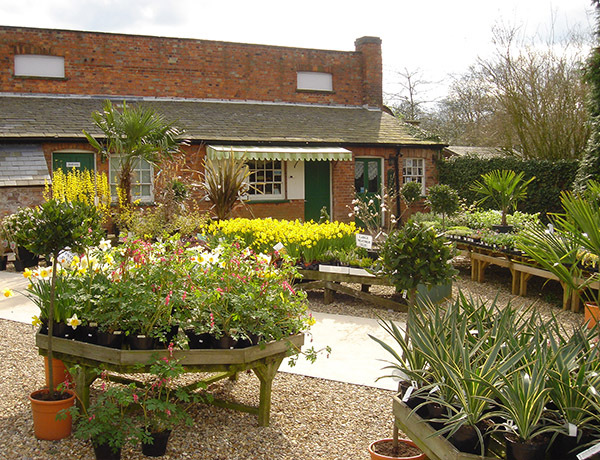 In recent years, Wistow has become locally renowned as a haven of charm, beauty and serenity. For most, the typical memory is of an impressive, turreted Hall framed by mature parkland with a fine lake, on which can be found a great variety of overfed swans, ducks and geese. Beyond Wistow Church, permissive access has been granted to allow the public to walk through the water meadows and historic "ridge and furrow" pastures between Wistow and Newton Harcourt, and they are frequented by dog walkers and naturalists. 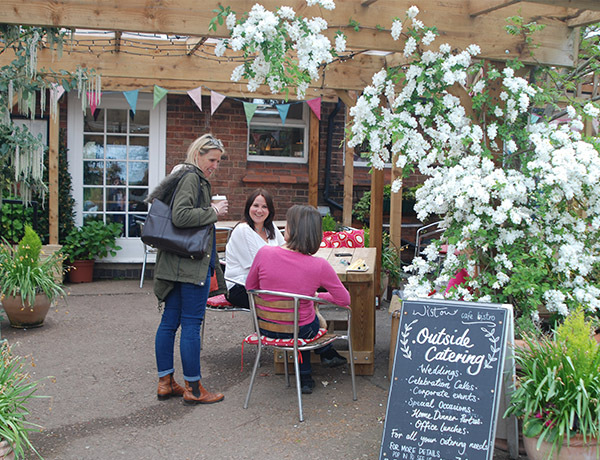 Wistow Rural Centre with its plant centre, cafe/bistro, farm shop, furniture and craft outlets, art gallery and pet accessory shop extends a warm welcome to visitors from far and wide, and in recent years, a charity concert has been held in the parkland to the east of Wistow Hall. Finally, the Wistow Maze, started in 2004, opens every summer for 8 - 10 weeks providing a healthy challenge and hours of fun for all ages. Wistow is a vibrant, friendly but small community and you are welcome to come enjoy its delights, whilst always respecting the privacy of local inhabitants, and the farmers' animals and crops.